Along with the couple, Kohli's brother Vikas was also present during the meet. The couple invited Modi for their wedding reception. 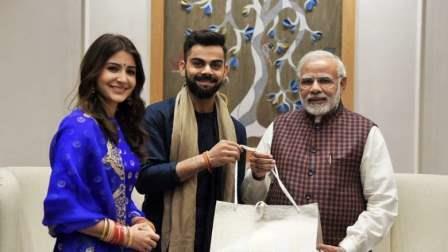 "Captain of the Indian cricket team @imVkohli and noted actor @AnushkaSharma met PM @narendramodi this evening. The Prime Minister congratulated them on their wedding," said PMO's Twitter handle in a caption accompanying a picture of the meeting.